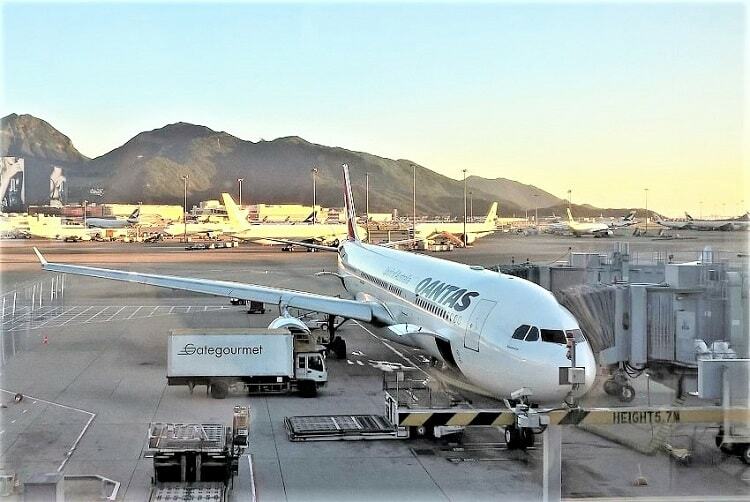 If you’ve decided to take the plunge and head off on a working holiday in Australia, you’re probably full of excitement and looking forward to your big trip. Bright white beaches and colourful coral reef. Endless red desert and pristine ancient rainforests. Not to mention sparkling city lights and friends you haven’t met yet. There’s so much to look forward to on your big adventure! What you don’t want on your working holiday in Australia is for things to go wrong. Like realising you’ve been charged a load of fees by your bank back home for withdrawing cash abroad, or buying a sim card from the wrong mobile phone network. I’ve lived in Australia as a foreign exchange student, a backpacker on a working holiday visa, and now as a permanent resident, so I’m pretty familiar with life Down Under. 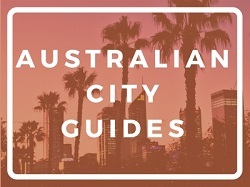 To help your trip go smoothly I’ve put together this working holiday Australia guide full of information I’ve learned during my time here, as well as tips from other travellers who’ve recently finished their year (or two) working and travelling in Australia. 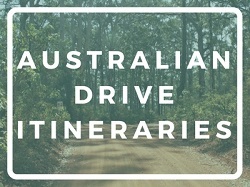 It includes the nitty-gritty stuff like visas, medical information and getting an Australian tax file number, as well as tips on organising road trips, finding cheap accommodation and making friends. So, what are you waiting for? Read the information below, and get organising your epic adventure! To avoid any problems, make sure your passport is valid for the entire length of your stay in Australia before you apply for your working holiday visa. If you get a new passport after you’ve applied for the visa, you’ll have to let the government know so that your visa is applied to your new passport and not your old one. I have permanent residency in Australia, and I almost got stuck in transit in Hong Kong airport last year, as I’d renewed my British passport during a visit to the UK and assumed my electronic visa would be automatically transferred from my old passport onto the new one – being electronic and all that. It wasn’t! Thankfully the staff sorted it out over the phone, so I didn’t have to do anything! Also, check passport validity requirements for any other countries you will be visiting, as many require your passport to be valid for at least six months in order to let you into their country. If you want to go on a working holiday to Australia, you’re going to need either a Working Holiday visa (subclass 417) or a Work and Holiday visa (Subclass 462) depending which country you come from. You need to be at least 18, but not yet 31 (there is talk of this changing to 35), and hold a passport from an eligible country amongst other requirements. 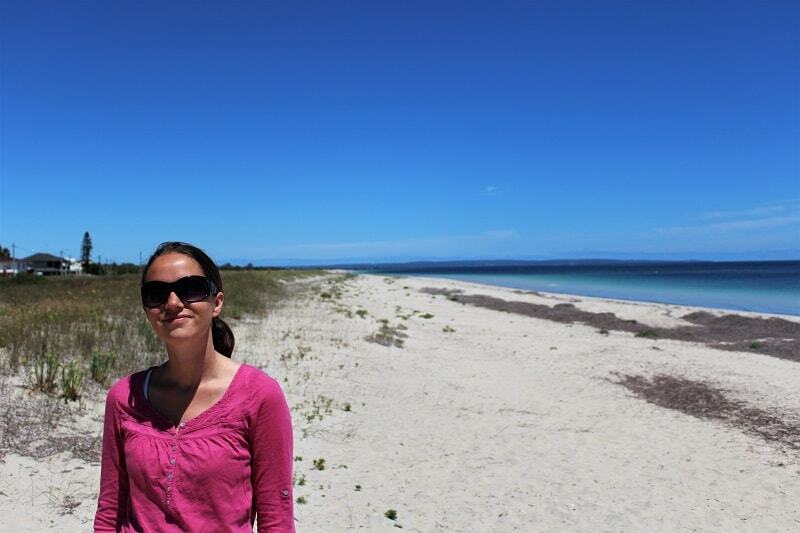 I’ve written a whole blog post on the Australian working holiday visa requirements, as well as reasons why Australia is such a great country for inexperienced travellers. So make sure you check it out! If you’re eligible, you can apply for your working holiday Australia visa through the Australian Government – Department of Home Affairs website. Once your visa is granted (they are usually processed within a month) you can start properly preparing for your big trip! 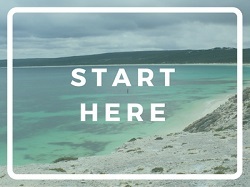 Your next step is to buy travel insurance and book your flights. For travel insurance, start with comparison sites for whichever country you’re based in, so that you can compare different insurers. In the UK, you can use sites like Money SuperMarket or Go Compare. Just make sure that you’ll be covered for the entire length of your trip and for every country you will be visiting as well as for the activities you’ll be doing (scuba diving for example). Also look into whether gadgets are covered, as phones/tablets aren’t always included. I tend to use Skyscanner to find the best deals on flights, as it compares so many airlines and travel agencies. It’s usually quite cheap to fly to Australia during their winter time (June/July), as long as it’s outside of school holidays. I fly back to the UK each year for a visit and pay around £580 – £630 for a return ticket (which is crazy as I paid £580 for my first flight to Australia back in 2001!). Cathay Pacific has been the best value the last two years. Remember to check in online as soon as it’s possible (it usually opens 48 hours before departure). If you need to book a special meal you may need to do it more than 24 hours before. Make sure you have your regular check ups with your dentist and optician before you leave, as you may not be back home again for a long time! Depending on which other countries you’ll be visiting on your trip, also check if you need immunisations (do this as soon as possible as some vaccinations require booster shots afterwards). Stock up on any medication you need, and check the cost in other countries if you’ll need to buy more there. Scan important documents such as your passport, insurance policy and driving license (just in case), and keep a digital and hard copy. If you’ve bought insurance to cover your electronic gadgets, you will probably need to send the insurer copies of your purchase receipts should you try to claim for any lost/stolen items. So read the documentation and make sure you find and copy relevant receipts too. Do get your mobile phone unlocked before leaving home, as you’ll want to get an Australian sim card once you arrive. Carry out some research on mobile networks in Australia before you leave so you know which one to choose for your needs and don’t make a regrettable choice on arrival. Telstra – the largest (but most expensive) network known for having the best coverage in remote areas. Optus – the second largest network, cheaper than Telstra but with less coverage. Vodafone – the third largest network, similar coverage to Optus and with frequent special deals. There are also lots of other providers that operate under these three networks (for example Virgin, which operates under Optus). 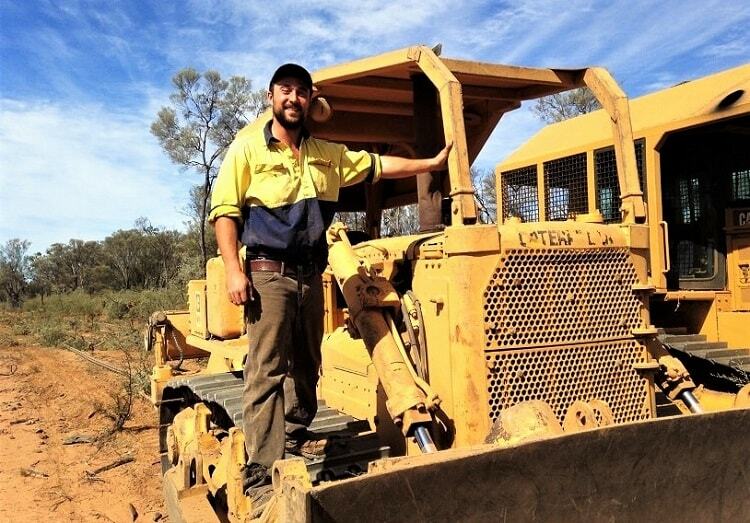 If you’re planning on working in remote areas or going on road trips away from the main settlements, Telstra is your best option as it usually has great service in these kind of areas. I chose Optus as it was cheap, but it was totally useless on much of my Perth to Adelaide road trip and through Tasmania. I’ve heard that Vodafone is just as bad. My travel mate opted for Telstra and had much better service in remote areas. I’ve read this exact advice on many other blogs, so I would really take heed! To learn more, there’s lots of information on Australian mobile phone networks on the whistleOut website. 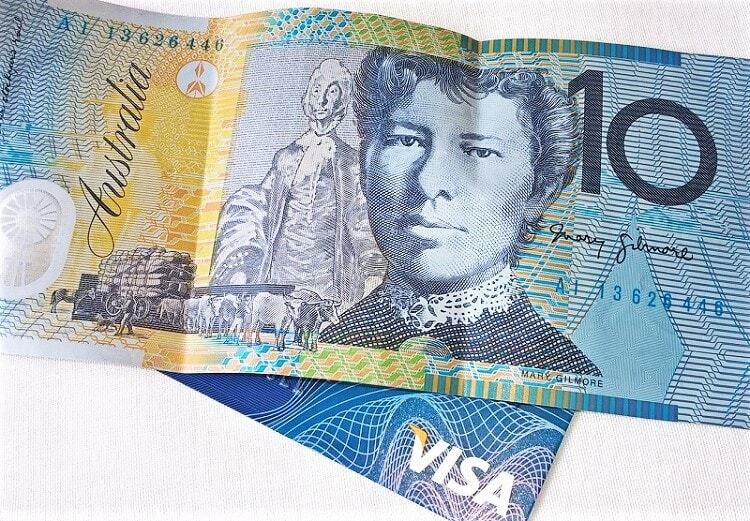 You will want to exchange some cash into Australian dollars before you set off to keep you going for the first few days. I would also do some research into Australian bank accounts in advance and choose the best account to suit your needs. 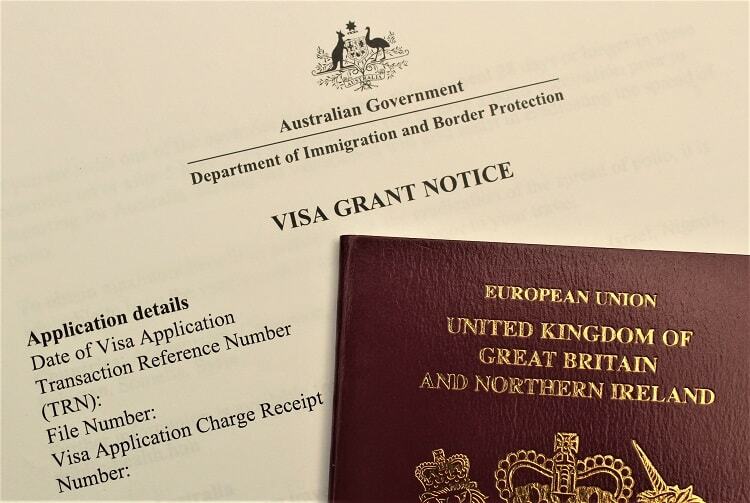 You will need one if you plan on working in Australia, in order to receive your wages! Make sure you check if the banks charge any fees if you don’t pay a certain amount of money in each month. Also check how many ATMs the bank has. Australia is about 20 years behind the UK in this respect and still charges you if you don’t withdraw from your own bank or an affiliated one! I chose Citibank as it has no monthly fees on the account I opened, plus an attached savings account. It doesn’t have many ATMs, but I can use Westpac ATMs for free, and there are plenty of those around. Make sure you open a bank account in Australia within six weeks of arriving, as you won’t be required to show as much identification (usually just your passport) to open the account. After this you will need to show a number of different forms of ID, each worth a different amount of points, in order to open your account. Some banks let you open an account before you arrive in Australia, and just ask you to pop into a branch with your ID on arrival. If you’re going to be transferring savings from your bank account at home to your new bank account in Australia, do not automatically use your bank to do the transfer. This is usually the most expensive method, with poor exchange rates and often hefty fees. There are foreign currency exchange specialists set up solely for this purpose that are much cheaper to use than banks. I’ve been using Transferwise since I moved to Australia, as it’s simple to use, totally transparent regarding fees and rates and much cheaper than using my bank. You can get an instant quote on their home page without even signing up. Just click on the picture below to get started. Many similar companies I looked into wanted me to register in order to see their rates, and one wouldn’t stop calling me up once I’d registered! If you want to withdraw cash directly from your home bank account using ATMs in Australia when you first get there, notify your bank you’ll be abroad first, as they may suspect fraudulent behaviour and block access to your account. Also make sure you know the fees you’ll be charged for withdrawing abroad. It can be expensive. Always make sure you have more than one way to access money while you’re travelling, just in case you lose your credit/debit card. I once went to Brazil and both my friend and I had our cards cloned in an ATM. Her account got frozen because the fraudsters got her PIN wrong, my account got wiped out (the bank did reimburse the money eventually), and between three of us we just about had enough cash to get through our last few days! Let’s get started on the fun stuff! Times have changed a lot since my very first trip to Australia, when you had to find travel mates and cars for sale on noticeboards in hostels – not Pinterest, but actual, physical pin boards! It’s now super easy to find road trip buddies, rooms for rent or just like-minded travellers to hang out with on the weekend thanks to the world wide web! 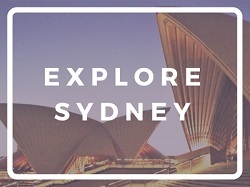 One of the first things you’ll want to do when you start your working holiday in Australia (or even before you set off) is to join the relevant backpacker Facebook group for whichever city you’ll be staying in. You’ll find that virtually everyone in your hostel is already on them; they’re highly active groups. Backpacker Footsteps have set up groups for lots of countries. 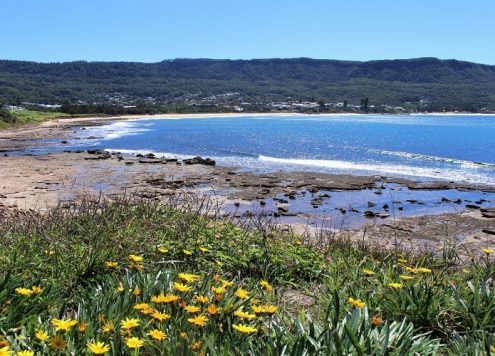 Here are the links to some of their Facebook groups in Australia, but they also have groups for smaller towns as well as jobs and house shares etc. There are so many options for backpackers on working holidays looking for cheap accommodation in Australia; hostels aren’t obligatory! I’ve outlined a few popular choices below, but for a longer list, check out my ultimate guide to cheap accommodation in Australia blog post, which outlines ten different types of accommodation, including where to stay on road trips and your options in the big cities. I prefer to book accommodation through Booking.com as it not only lists hotels, but backpacker hostels, holiday parks and other various types. While the major cities in Australia have plenty of hostels, you don’t always have that option on road trips, so it’s great to be able to scan through for cheap motels or cabins at caravan parks. These can sometimes be cheaper than hostels too! Just sort the results by price. You can use the Booking.com search box below to look for properties. 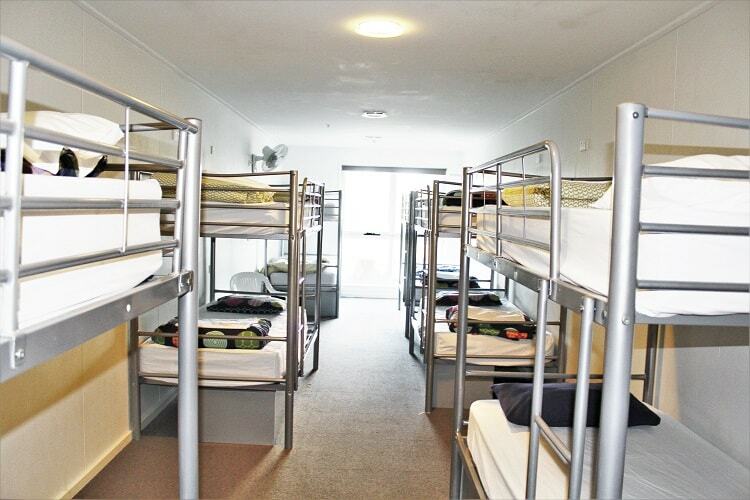 Here are some popular types of cheap accommodation in Australia. You’ll likely want to book into a hostel for your first week or so in Australia, as they’re a great place to make friends and get tips from other travellers. To make your trip less stressful I’d advise booking before you set off and planning how you’ll get there from the airport. If you haven’t stayed in hostels before, here’s my blog post on what hostels in Australia are like. It covers everything from dorm etiquette to typical kitchen and bathroom set ups. If you’re going to be working in an Australian city for a while, you might want to think about finding a flat or house share to make you feel more settled. There are plenty available for backpackers, and some are set up like mini hostels with bunk beds or twin beds in the rooms to cut costs. I paid $125 per week in Perth to share a twin room in a nice 3-bedroom apartment with my friend. Dorm beds in hostels were about $200 per week, so this was a much better deal for us, particularly as it had an onsite gym and pool! If you want a private room to yourself, you’d be looking at more like $200 to $300 per week. The place to find casual short-term rentals is either Gumtree or the Facebook backpacker groups I listed above. We found ours through the owner of our hostel, as he owned a few share houses too. Accommodation is so in demand in Australian cities that people often rent their rooms out when they go on holiday. So even if you only want a few weeks you could still find something! 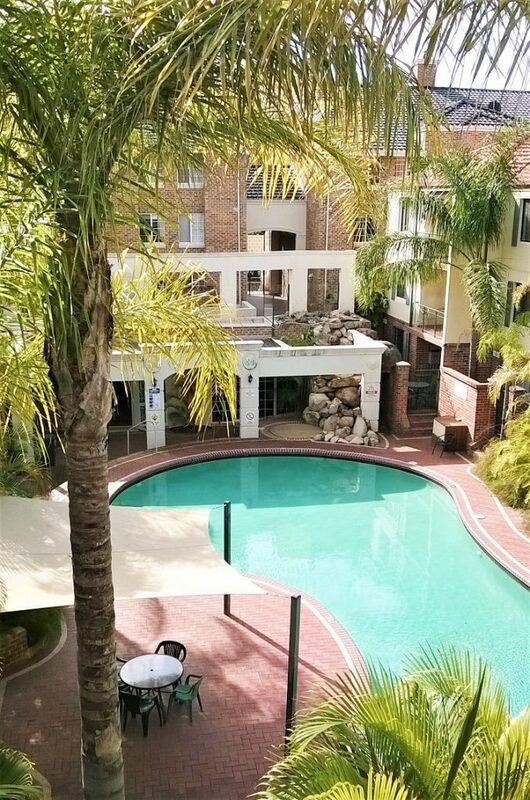 The view from my balcony in my share apartment in Perth – unbelievably cheaper than a hostel! I was very surprised to find that sharing a double room on Airbnb (where the owner is also living there) in Melbourne worked out the same price per person as staying in a hostel dorm. This is a great option for couples. If you haven’t used Airbnb before, make sure you sign up using my link to get $55 off your first Airbnb stay. I first discovered house sitting near the end of my stay in Perth, when my room mate was leaving and I didn’t want to stay in the flat share with my male, middle-aged landlord! House sitting is when you stay in someone’s property for free while they’re on holiday in return for looking after their pets and home. I ended up house and pet sitting in Perth, Adelaide, Melbourne and Sydney during my road trips, saving me a heap of money. I now get paid to house sit in Sydney in some amazing homes! 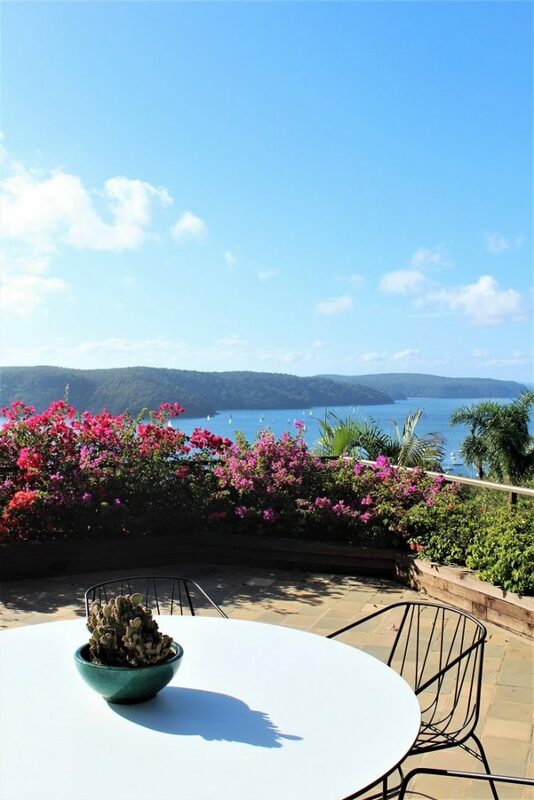 I’ve written many guides on house sitting, but here’s my story of how I saved $30k house sitting in Australia, which is full of tips on how you can get started too, even with no experience or references. A tax file number in Australia is the equivalent of your National Insurance number in the UK. You’ll need one if you want to work. You can apply online through the Australian Taxation Office (ATO) – you just need a valid passport and an address for them to send it to. The number will be sent to you within 28 days. If you are a visitor from a country that has a Reciprocal Health Care Agreement with Medicare, the Australian health care system, some of the medical expenses you incur in Australia may be covered. Read more about health care eligibility on the Medicare website. If you are eligible, you can fill out an application form and take it to a Medicare service centre in Australia to get a Medicare card. The cost of living in Australia is fairly high compared to many other countries, so most backpackers will be eager to find work to top up their travel funds. Your savings from home are unlikely to stretch as far as they would in your home country. It’s very common now for those on a working holiday visa in Australia to stay in one city for a good few months and work full time, rather than spend most of their time on the road. A lot of backpackers find work in the service industry (bars, restaurants, cafes) and construction is a pretty popular industry too, as there’s a lot of development in Australia and it’s well paid. Note that you’ll need what’s known as a Responsible Service of Alcohol (RSA) certificate (you can get one online) to serve alcohol in Australia; despite being known as a laidback country it is actually the nanny state of all nanny states, with a lot of red tape! A couple of popular websites for backpacker work in Australia are Backpacker Jobs Australia and Backpacker Job Board, and you can also check out Gumtree, Facebook backpacker groups and local newspapers. A lot of backpackers find work in Australia just by asking other backpackers or hostel owners. People often know someone who knows someone! You can also do cleaning and reception work in hostels. 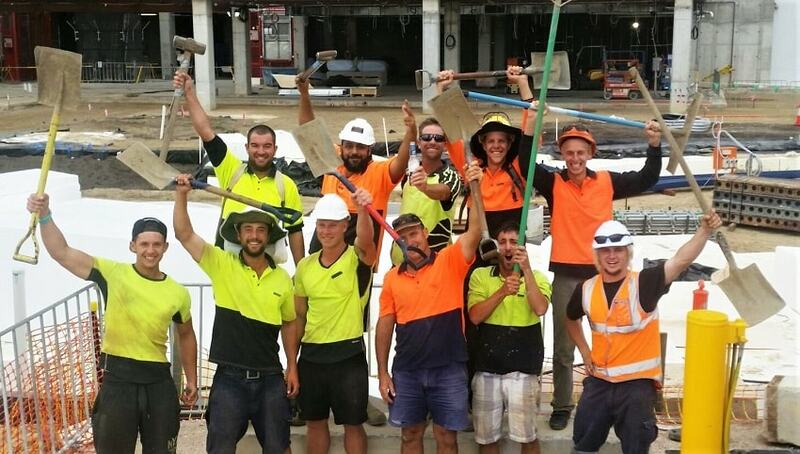 If you’re interested in construction work in Australia, do read my interview with a German backpacker who worked in construction in Perth and Melbourne. I know that many of you will want to complete your 88 days of regional work in order to get your second working holiday visa in Australia. Just make sure that you start looking for work well ahead of time, so that you’re not in a panic at the last minute. 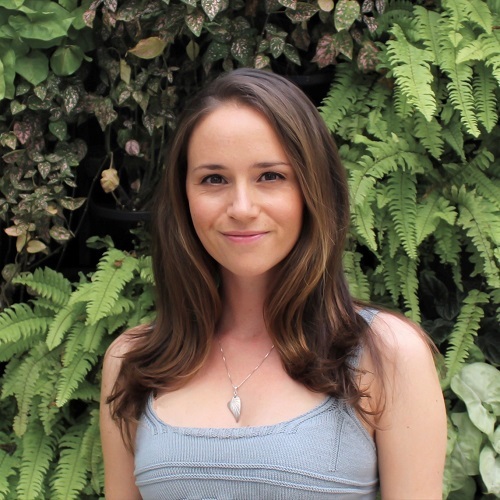 There’s currently a well-publicised problem in Australia with backpackers being exploited by farm owners (underpaid, sexually harassed etc), and putting up with it as they are so desperate for the work to be signed off in time. Starting your farm work early means you’ll have time to leave and find another job if required (hopefully you won’t have to though – plenty of people have a great experience). My travel mate, Michi (in the picture below), left his farm work until the last minute and had an awful time with a bullying boss on a fruit farm in Tasmania. Thankfully he found somewhere else in time, but it meant flying up to Queensland to work on a cattle farm! He had a brilliant time there though, and just managed to get his 88 days in before the option expired. Here’s a link to read more about the requirements for the regional work for your second Australian working holiday visa. Click on the ‘Visa applicants’ tab and open up the ‘Specified work’ section. If you’ve made it to the other side of the world, make sure you explore the country! You’re there to work and travel in Australia after all! The real beauty Down under lies in between the big cities. Just remember how enormous Australia is and how long it takes to get from one city to another. You’ll need to plan properly! There are heaps of methods of transport to travel Australia on: organised tour buses, public coaches, trains, flights, hiring or buying a car or campervan, or getting a ride in another backpacker’s car… Whatever your budget you should find something suitable. On my most recent Australian road trip I chose to buy a car and self-drive all the way from Perth to Brisbane via Adelaide, Melbourne, Tasmania and Sydney with a friend I made in my Perth hostel. Here are links to my road trip drive itineraries so far, which include recommended drive stops and the drive time and distance between them, petrol costs and campsites, as well as beautiful pictures, of course! I’m also writing individual posts on each area I stayed at and linking to them in the drive itineraries. So take a look if you want some inspiration! 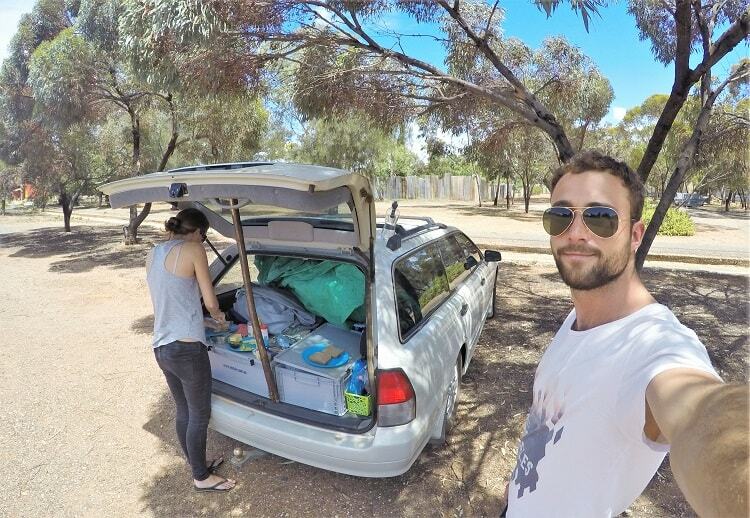 Many backpackers decide to buy a cheap car or campervan on their working holiday in Australia, as it allows the ultimate freedom on road trips to explore wherever you like for as long as you like. It also means you can stay at campsites between cities and save a lot of money on accommodation. You can buy cars complete with camping gear from other backpackers who are leaving the country after their working holiday ends (usually via the backpacker Facebook groups). Just be extremely careful as these are usually very old cars with a lot of mileage on them. The camping equipment can be so well used it needs replacing anyway, and backpackers don’t always look after the vehicles as well as they should as they don’t want to spend money. Pay a mechanic to look over any potential cars for you if you aren’t experienced. It’s better to buy a good quality vehicle from a private seller (Gumtree or local newspapers) and buy camping equipment separately for a few hundred dollars than lose thousands on a rubbish car! My car that I bought from a used-car dealership in Perth. I had a mechanic check it over, service it and replace some parts before my road trip. Also be aware that vehicles in Australia are registered to the state the owner lives in, and if you buy one in a different state to where it’s registered (for example, if a backpacker has driven it across the country) you may have to have it officially examined and get the number plates changed to ones from the new state. Do your research as there are different rules in each state. If you’re travelling solo for the first time, you might be worried about how you’ll meet people and make friends. I promise you it’s easy, and you won’t be lonely! Never give up an opportunity to travel because you haven’t got anyone to go with. Most travellers set off by themselves and are keen to meet other travellers. If you stay in hostels it’s hard not to get chatting to the people in your dorm or in the kitchen, even if you’re not someone who tends to approach people. If your room mates don’t speak to you straight away they’re probably feeling just as shy as you, or they’re nervous about how good their English is. Say hi and ask their name, and they’ll probably be really pleased to talk to you. I’ve written a whole blog post about the benefits of solo travel if you’re still unsure. 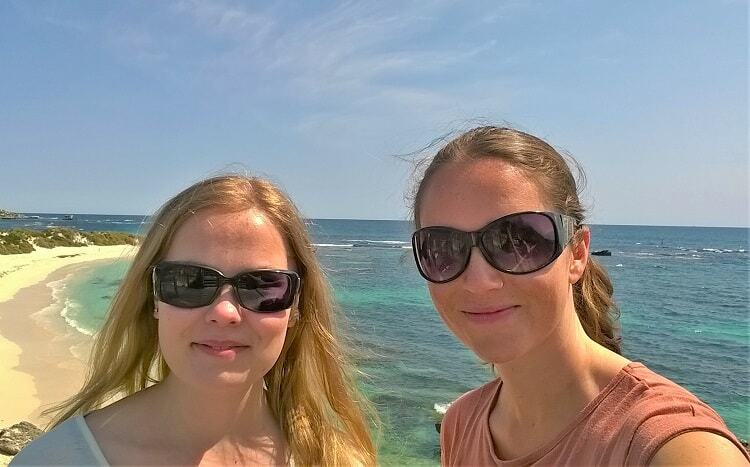 Me with my Finnish friend Mirka on a camping trip to Rottnest Island near Perth. We met in a hostel and ended up in neighbouring apartments for a few months before house sitting together! If you’re looking for travel buddies for road trips, or even to get out and explore at weekends, backpacker Facebook groups are great, or people you meet in person at your hostel. You can also use the website Meetup.com and join groups that run outings on whatever your interests are. I’ve made virtually all my friends in Sydney that way, through walking groups and female social groups. Australian working holiday visa tax changes have been a hot topic over the last couple of years. As of 1st January 2017, there is no longer a tax-free allowance for working holiday visa holders in Australia. Backpackers will now be taxed at 15% on earnings up to $37,000, and at ordinary rates (i.e. the same as Australians pay)on earnings above that. Here is how much backpacker tax you will pay in Australia (as at May 2018). This is intended as information, not advice, so please check the official Australian Tax Office (ATO) website for up-to-date details. It does continue to scale upwards, but I’m guessing most backpackers won’t be earning that kind of money! Note that the Australian tax year begins on 1st July, and you should lodge a tax return at the end of the tax year (or earlier if you’re heading home) as you may be entitled to a refund. Superannuation, or ‘super’ as the Aussies call it, is the Australian equivalent to a pension or retirement fund. This may not be something on your mind if you’re in your twenties and gallivanting around the world, but your Australian employer will be obliged by law to pay into a super fund for you. You’ll be pleased to know that you can claim your superannuation back at the end of your working holiday in Australia, but less pleased to know that as of 1st July 2017 the full amount will be taxed at 65%! Here’s another link to the ATO explaining the deal with your departing Australia superannuation payment (DASP). Well, that’s about it for my working holiday Australia guide! Best of luck on your year in Oz, and if you have any other tips feel free to leave them in the comments.